Nothing spurs a person to take crazy chances like being completely fed up with their life. 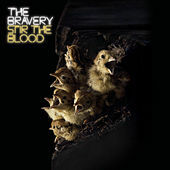 Such was the case with Bravery frontman, Sam Endicott, who, in the midst of being a self-proclaimed bum, let go of his self-doubt and started up his own band -- hence the uplifting name. Up until this point, Endicott had been slinging bass in a number of bands, but never fronted any of them, let alone writing any of the songs! Gigs with like-minded New York bands the Strokes and Interpol sent the quartet's star into orbit. Two years later, Endicott and bandmates John Conway, Michael Zakarin, Mike H and Anthony Burulcich found themselves in the middle of a huge bidding war. 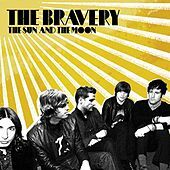 With Island Records declared the winner, the Bravery went about touring the U.K. with bands such as the Libertines and Echo & the Bunnymen. By the time the band released their first single, "Unconditional," in late 2004, they were hotly-tipped as a band to watch in 2005 in both Britain and the United States.